Fancy a luxury private tour that you will never forget, we’ll a tour Ireland’s Castles and Manor Houses might just be the answer. During the Anglo Norman period in Ireland (1170 to early 16th century) approx 3500 castles were built in Ireland. Some were large to facilitate the governing of the country, some much smaller and were private houses for the great and the good. As building methods improved along came the Manor Houses (Downtown Abbey style) which were much more comfortable. Many (if not most) of these constructions have fallen into disrepair and are now derelict. But a not insignificant number of Castles and Manor Houses have been carefully and tastefully preserved, a few as five star hotels. If you would like a real Castle and Manor House experience, than Classic Ireland Guided Tours can arrange this for you. Over the years we have brought visitors to Ireland’s Castles and Manor Houses, and we reckon we know the best in Ireland. Why not join us in a bespoke tour and experience Ireland’s dramatic scenery, history and culture during your tour. Day (1) Arrive at Shannon Airport. On collection you will travel to Killarney, Co. Kerry, for a two night stay at The Melton Hotel, a luxury five star old railway hotel dating back to the mid 1800’s. Prior to settling into your hotel we will visit Muckross House and Gardens, a beautifully maintained old manor house once visited by Queen Victoria in 1861. Day (2). 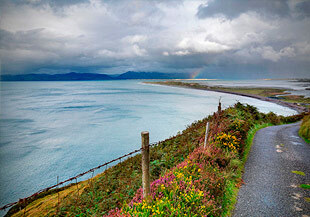 Today we spend a full day on one of the most scenic driving routes in Ireland, The Ring of Kerry. This will be a day of dramatic coastal scenery and panoramic breath taking views of the Killarney National Park, its lakes and mountains. Day (3). Today you will leave Killarney and tour to Dingle and The Slea Head Drive, which featured as the background to the film ‘Ryan’s Daughter’. 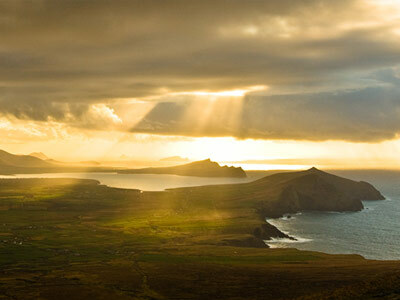 Another day of jaw dropping coastal scenery and time to explore the lovely fishing town of Dingle. From Dingle you will travel to the historic village of Adare, Co. 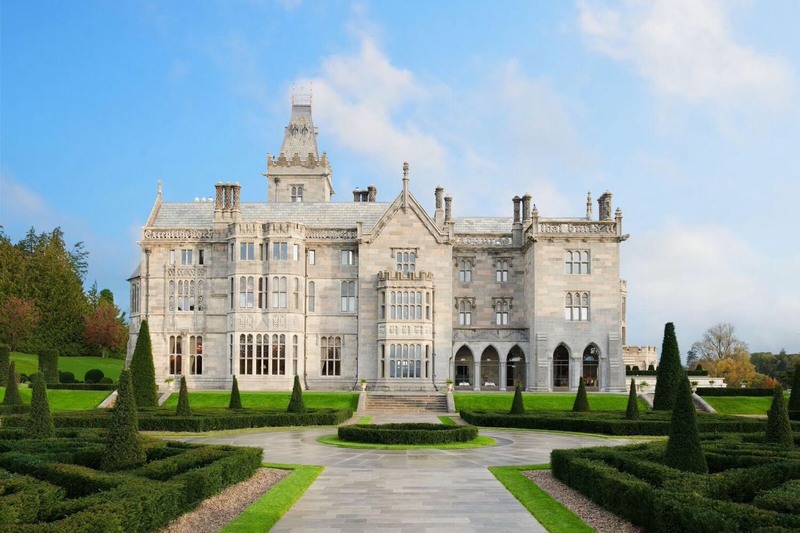 Limerick, and your recently renovated five star hotel for two nights, Adare Manor. Day (4). A change of direction today. You will travel to Blarney Castle and Gardens for a visit to perhaps kiss the famous Blarney Stone. 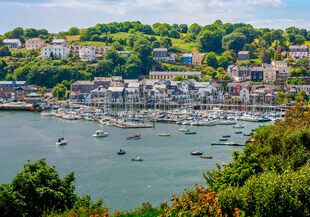 From Blarney you will travel to the coastal town of Kinsale, Co. Cork, a very historic town with a strong Spanish influence. Great place for a late lunch. You will then return to Adare Manor. Day (5). Time to leave Adare and travel north. En route you will visit The Cliffs of Moher and tour through a The Burren and Kinvara, Co.Galway to your destination, Ballynahinch Castle, which dates from the 14th century. This five star luxurious hotel is situated deep in heart of Connemara in west Galway. You have a two night stay here. Day (6). A leisurely day in Connemara. 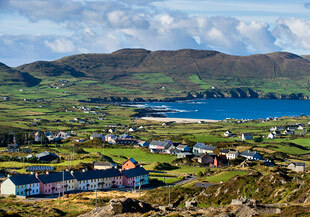 You will tour to the lovely villages of Roundstone, Clifden and Kylemore, and visit Kylemore Abbey. A wonderful day of touring. Day (7). 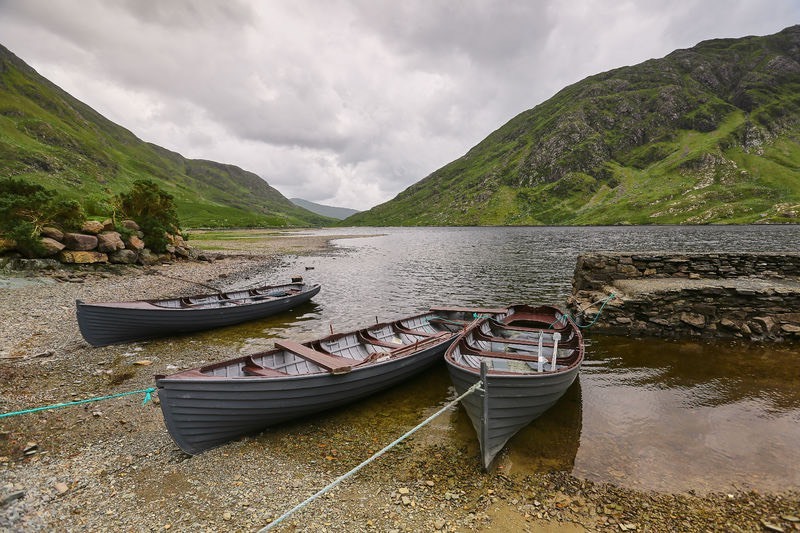 You leave Connemara and travel into County Mayo via The Doolough Valley. From here you tour to the lovely town of Westport, Co. Mayo. You continue to your next fabulous hotel, Ashford Castle, five star luxury and regarded as one of the finest hotels in Europe. Day (8). A leisurely day touring to Achill Island, another location to experience the dramatic scenery of the Wild Atlantic Way at its best. Day (9) you leave Ashford and travel through the lovely county of Sligo, stopping at Strandhill, Drumcliffe Church (of WB Yeats fame) and Mullaghmore. Then further north into Co. Donegal and to the lovely Donegal Town. Your luxury hotel here is Lough Eske Castle Hotel, which dates from the 15th century. Another 5 star hotel set in beautiful surroundings. Day (10). A day of touring in Donegal. In the morning you will travel west to Slieve League to experience what many believe to be one of the finest views in Ireland. In the afternoon, a tour of Donegal Castle, which will give a very interesting overview of the history of this area. Day (11). You will leave Donegal and travel south to historic Galway City. You will have time here to explore the city and have lunch. 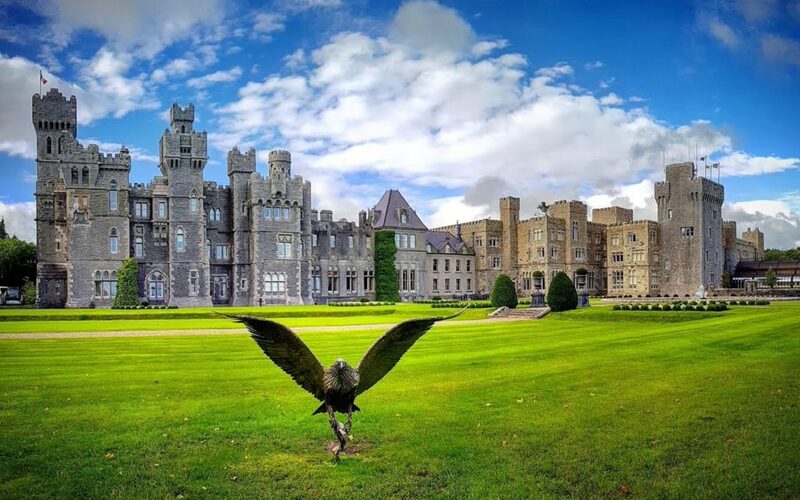 From Galway you will travel to another luxurious five star hotel, Dromoland Castle. Dromoland dates from the 16th century and has had many famous visitors. Day (12) A free day to enjoy all Dromoland has to offer, perhaps you might opt to attend a medieval banquet at nearby Bunratty Castle. Day (13) leave Dromoland and catch your flight at nearby Shannon Airport, approx 30 minute drive to be arranged by the hotel. As previously outlined, this is a specimen tour which can be altered or amended. Accommodation is suggested only and will need to be booked directly with each hotel. Similar quality accommodation can be suggested for visitors wishing to visit other parts of Ireland. Luxury Touring in 2019? Consider Ireland. Touring Ireland by car – are you sure you should drive?